Windows 7 users: we recommend using the Chrome browser to hear the live service. Listen live on Sundays at 10 am Eastern time or hear a replay any time during the rest of the week. The service lasts one hour and an organ prelude and postlude extend 7–10 minutes before and after the service. An audio replay is available within 30-60 minutes after the service ends. 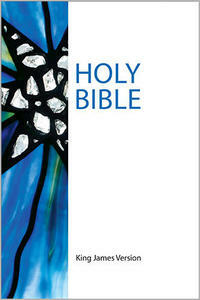 Unless otherwise indicated, Scriptural quotations are from the King James Version of the Bible. Words © The Christian Science Board of Directors. Yet the Spirit of Truth abides forever. Look to your heart for there you'll find me. The Golden Text and Responsive Reading are from the Christian Science Quarterly Bible Lesson, a publication copyrighted by the Christian Science Publishing Society. Hymn words unavailable for posting. We are not authorized to post some hymn words due to copyright restrictions. Some of the hymn words may be copyrighted by The Christian Science Board of Directors and cannot be republished without permission. For more information, email permissions@csps.com. Listen live on Sunday at 10 am Eastern time. Please listen via computer as phone lines are limited. Phone charges, if any, are the responsibility of the caller. Toward the end of the service, attendees are invited to make a donation. You’re welcome to make an online donation to the church at any time. 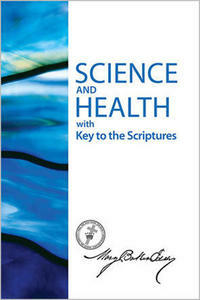 The Bible and Science and Health with Key to the Scriptures by Mary Baker Eddy together serve as pastor for Sunday church services and Wednesday testimony meetings at all Christian Science churches, societies, and informal groups around the world.